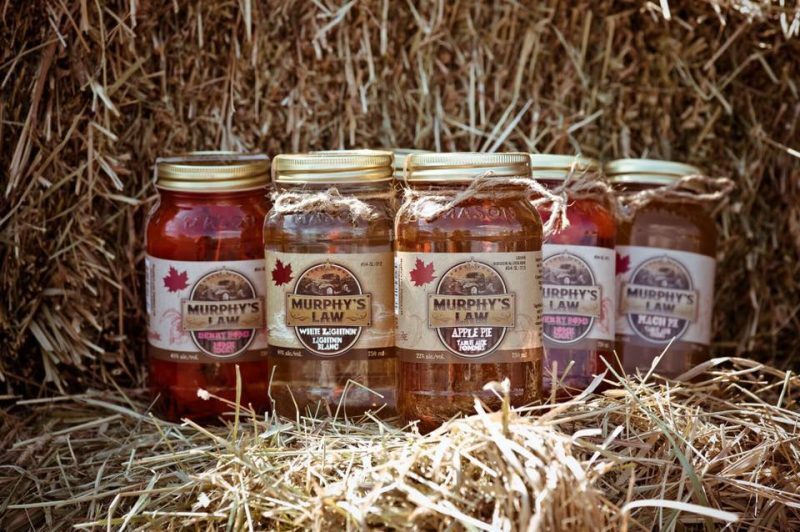 Murphy’s Law Distillery is an Elmira-based distillery that offers a variety of moonshines. 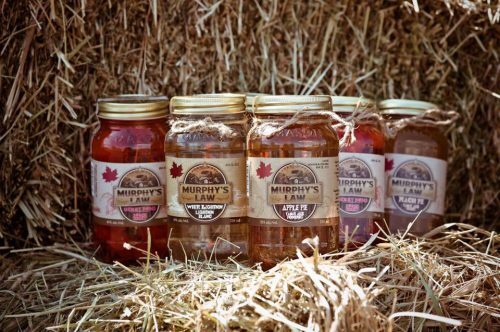 This distillery, the only one in Ontario to make moonshine exclusively, focuses on preparing each of their Appalachian-styled moonshines with all natural, authentic ingredients that are sourced locally. They don’t speed up their production through shortcuts, such as enzymes or neutral grain spirits. Instead, they take the time to wait and create an authentic, original moonshine. In addition, the fermenting, condensing, and flavouring all occur on-site; the flavouring is also made by hand. The owner of Murphy’s Law Distillery, Ben Murphy, was taught the tricks of the trade while attending university in the United States. After seeing the products and the expanding industry of moonshine, he was inspired to bring the idea across the border to Canada, where it was lesser known. Shortly after graduation, he returned to his hometown of Shelburne, Ontario, where he invested $60,000 to get his own moonshine distillery up and running. The menu at Murphy’s Law Distillery contains a variety of flavours, such as peach pie and cherry bombs. They also have moonshine signature recipes, which include flavours like apple iced tea and apple caesar. Murphy’s Law products are now conveniently available at the LCBO for purchase. No matter where it is purchased, the moonshine comes in a mason jar, lending an air of authenticity to the purchase and calling back to the once clandestine origins of the drink. For those who are interested in the process of making moonshine, Murphy’s Law Distillery offers tours. A behind-the-scenes look at the process for making moonshine is shown, and a tasting of various flavours of moonshine, as well as a shot glass to bring home, are included on the tour. Visitors can also purchase various merchandise, such as shirts, sweaters, and baseball caps, to show their love for Murphy’s Law Distillery and the moonshine they produce. There’s something to do every day at Grand River Raceway! Open year round, they offer unique, interactive events, dining and 24/7 slots. From May to September each year, sports enthusiasts can take in live Standardbred harness racing action at Grand River Raceway.